My newest creation. I am going to start using glass effect more often, because it is fun. This something I did for my sisters desktop and all the ladies out there. If you like it please let me what I can do for you. Name insects, animals or whatever, and I will try creating one for you. So let me what you like or dislike. I would love a pig, farm girl and all. No Joke, Not like a cartoon though. Sienn it's ment for the ladies, I presume you are not one, I love it and yes like TN Brat I also think a butterfly would be great or a ladybug. 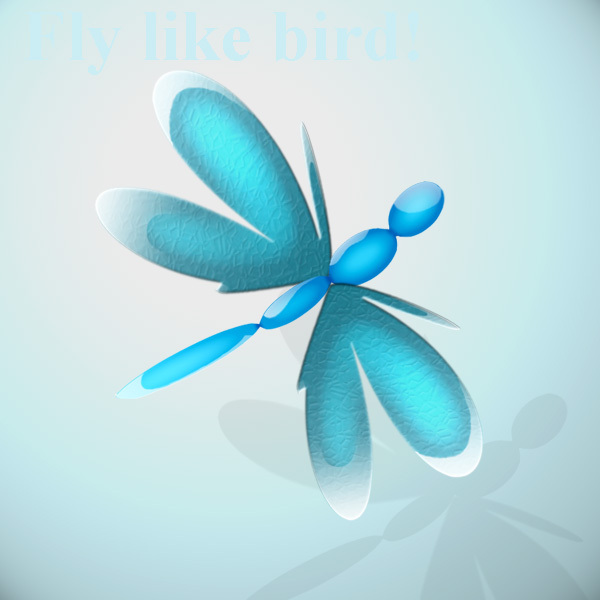 When we talk about butterflyes: MSN Explorer is a butterfly. Try making one that isn't like the msn explorer! Instead, try making it glassy in yellow and blue colors, mayby a little black! Oh oh oh!!!! Make a little kitten! He just hangs out on your desktop and you can play with him when you want! PLEASE!!!!!!!!!!!!!!!!!!!!!!!!!!!!!!!!!!!!!!!!!!!!!!!!!!!!!! !